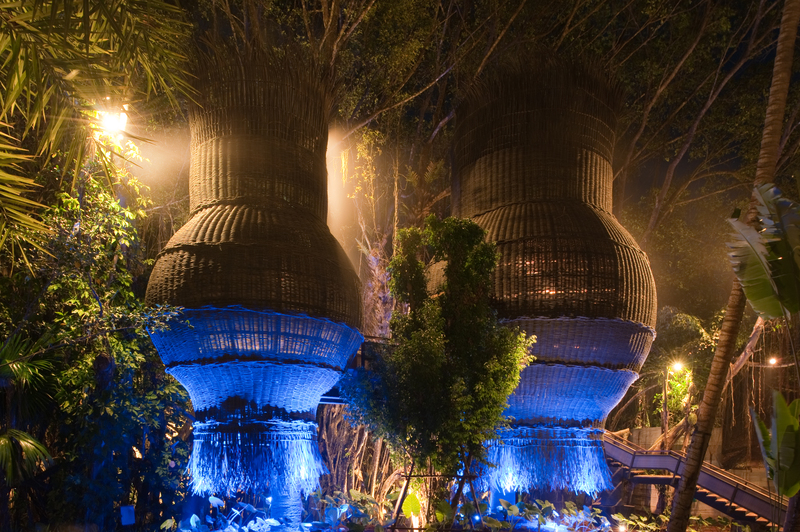 With intentionally oxidised furnishings and features running throughout, this Bill Bensley-landscaped resort is guided by design and it would only make sense that their spa would follow suit. While there were already a whole bunch of quality treatments on offer, the design stakes of the spa increased two-fold this year, with the opening of the stunning Nest treatment suites which are, in essence, oversized Avatar-like nests suspended midair accessible only by a bridge. Branded as the Coqoon Spa, it is now one of the most distinctive spas in Thailand and the spa suites further secure this standing. The surroundings for the treatments on offer include eight double rooms, six immaculately presented deluxe treatment rooms, plus a luxurious spa suite (complete with a private swimming pool, steam showers, a sauna, a Jacuzzi and a waterproof shower treatment table). There is also a beauty salon on hand for the more vainly inclined. Drawing on timeless Asian herbal remedies, Coqoon Spa uses a perfect blend of specially selected ingredients and essential oils. Using Anne Sémonin branded products, the treatments and ingredients encourage harmony for all kinds of skin types.